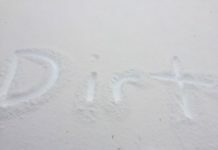 January 11 2013 – Colorado and Kansas. 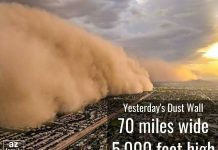 Parts of the USA were exposed to a dust storm on the same day Australia experienced its sandstorm. 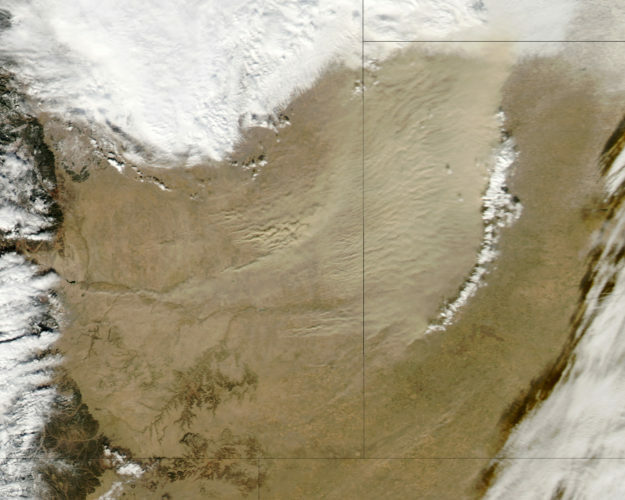 This image of the Moderate Resolution Imaging Spectroradiometer (MODIS) on NASA’s Aqua satellite represents the natural-color image of a dust storm that arose along the Colorado-Kansas border, ahead of a cold front, on January 11 2013. This severe dust storm started in Colorado and was largest and thickest in western Kansas (especially east of Goodland) spanning over 240 kilometers (150 miles) and reducing visibility to a quarter of a mile (0.4 kilometers). 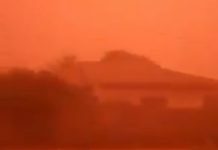 Here a video of a dust storm that triggered a large accident in Oklahoma back in October 2012.